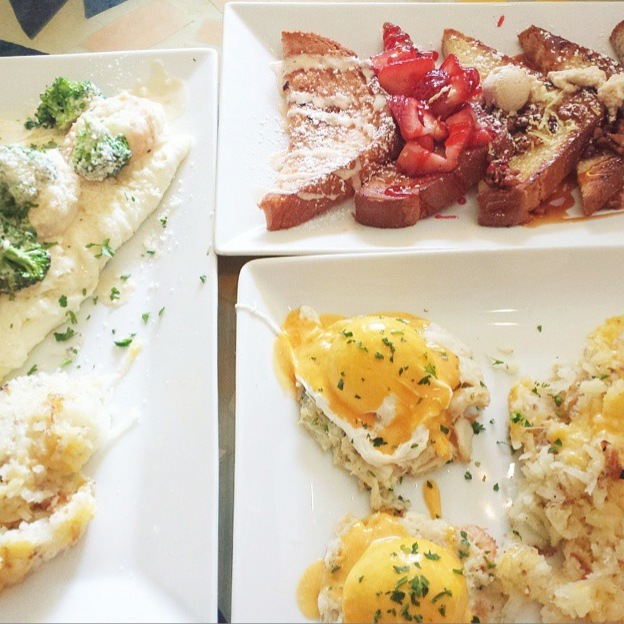 My absolute favorite meal of the day is none other than… brunch! Because what better way to start your day than a delicious meal and a chic mimosa in hand, right? So I have curated my top 5 lists of breakfast spots in Chicago that I think everyone should hit up. One word. Caramel White Chocolate Pretzel Flapjacks. If you have not tried these delicious pancakes, please do yourself a favor and savor the deliciousness of this mouth-watering, instagram-worthy creation. Every time I come here, I almost always have to get these and nothing else. Aside from the food, they also have a nice patio garden in their Andersonville location where you can get your Vitamin D and enjoy your breakfast with a side of their delicious hand-crafted drinks. I promise you will want to come back for more. If you are ever in Logan Square, this spot is a must-go. What makes Lula Cafe unique is their bohemian vibe and their fresh farm to table concept. It is such a hip and welcoming place to brunch with friends or even alone with your coffee and a good book at the bar. Although their menu varies daily, my current favorite here is their Coconut Crusted Brioche French Toast. Mm-mm-mmm. 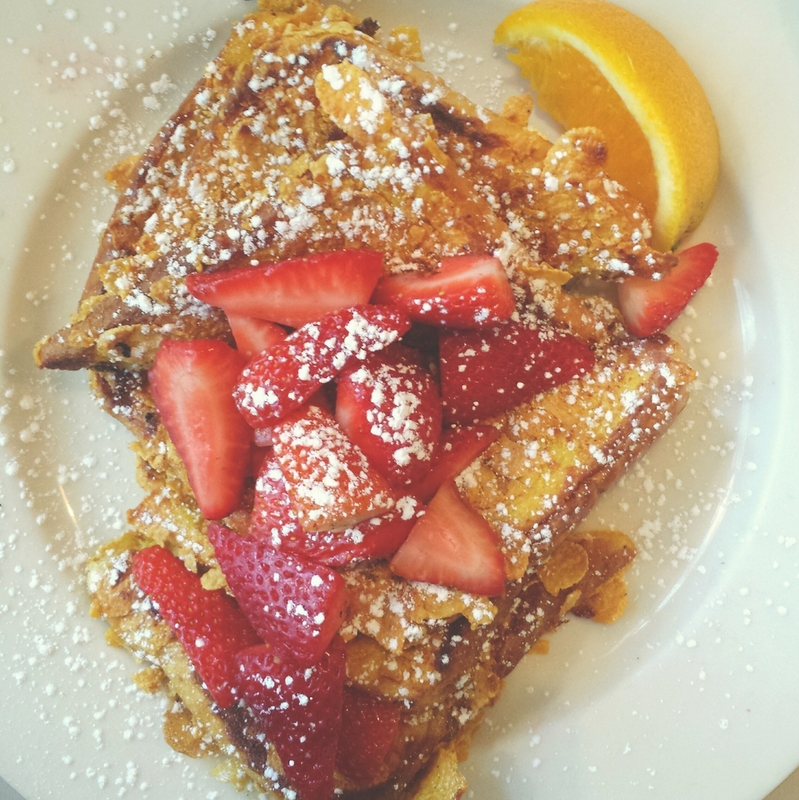 Located in Lincoln Park, a BYOB breakfast spot pride themselves for putting a twist in every traditional breakfast dishes, one of them is their French Toast Super Flight, a signature dish you cannot miss out on that comes with 5 different flavored french toasts. They also have weekly specials such as The Pork Chop Executive and the Crab Cake Eggs Benedict that are all equally just as good. Come in and be sure to come in early or prepare to wait in line - this place always gets packed! 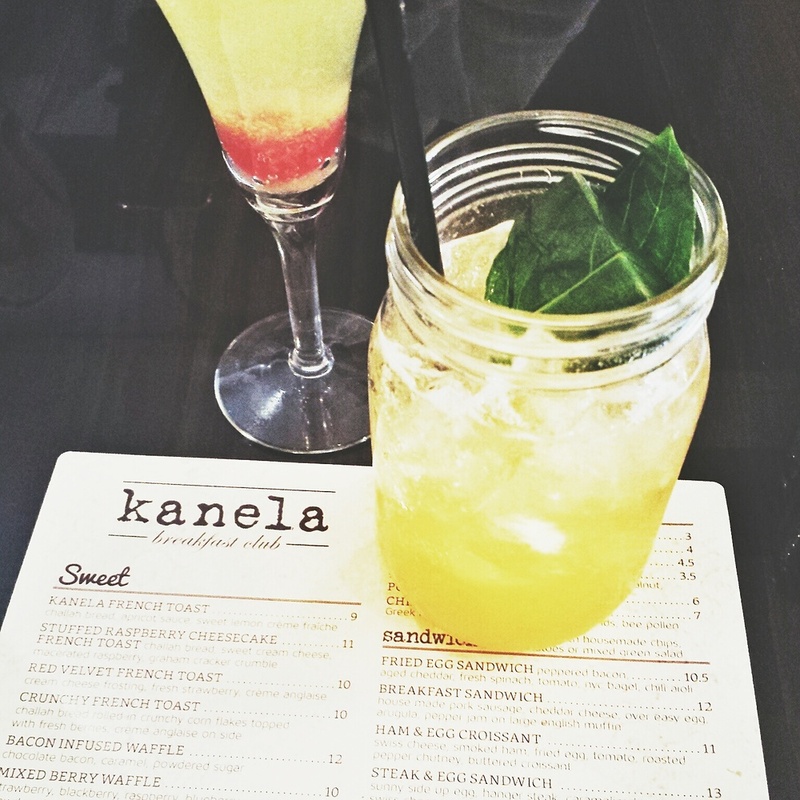 Kanela's vast brunch and beverage menu options are what I love the most about this place. The first time I tried this place out was somewhat bittersweet. Like most, I check out Instagram and Yelp reviews to see what their signature and most popular dishes are. I went ahead and tried their Crab Cake Benedict, I thought it was mediocre at best. (Not impressed) However, I did enjoy their Cream Cheese Filled Red Velvet French Toast (topped with fresh-cut strawberries, sugar glaze and powdered sugar) which I paired with Apricot-Elderflower Bubbly out of a mason jar -- Phenom! Located inside The Virgins Hotel, this retro diner makes me feel like I'm in a totally different era! As soon as I walked in, I was impressed by the wall decal filled with colorful recycled ties and skirts and the London-esque feel. I ordered a Carrot Bellini which sounds very weird, but trust me, it was boozy and refreshing. (Also amused by the mini carrot-top garnish) Definitely try their ginormous and scrumptious Chicken and Waffles. Not only is the ambience super cool, food is delicious, and the service was top-notch! YASSS! I hope this was helpful and I would love to hear other breakfast/brunch suggestions from you. Let me know in the comment section down below!